2017 promises to be a year of change. In fact, the Cabestan will be replaced by two ferries at the end of 2017. The Collectivity commissioned two ferries from the company DAMEN SHIPYARDS, to improve travel between Saint-Pierre and Miquelon, and also to allow visitors from Newfoundland to more easily discover the archipelago. Each of these two identical ferries will be able to carry 190 passengers, vehicles and recreational vehicles. 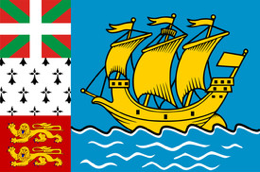 They will provide service between Saint-Pierre and Miquelon, Saint-Pierre and Fortune and Miquelon and Fortune. The Jeune France will continue to provide service between Saint-Pierre and Langlade.